Jelson’s toy appeal is delivered for Christmas! East-Midlands based Jelson Homes has, this week, dropped-off toys to help brighten up Christmas for poorly children who will be spending the festive period in Leicester Royal Infirmary. The leading local housebuilder launched the appeal in early December, urging families across the region to support the appeal and help put smiles on the faces of the youngsters by donating new or nearly new toys and games for those between 0-16 years of age. Items such as toy cars, action figures, dolls, books, games, rattles and building blocks, were all donated and dropped off to the children’s ward, this week, for the patients to open on Christmas Day. Louise Ballard, acting play coordinator at Leicester Royal Infirmary, said: “When we see the generous donations from companies and individuals at this time of year, the phrase ‘thank you’ really doesn’t capture our appreciation. It’s heartwarming to know that babies, children and young people who are unable to spend Christmas at home are being thought about and kindness like this makes a very positive difference.  Founded in Leicester in 1889, Jelson Limited has been building quality homes for over 125 years. As one of the country's leading privately owned construction companies, Jelson has established and enhanced a reputation based on traditional building techniques, thoughtful modern designs and quality construction carried out by a well-trained and managed team. Renovate or move? How the costs stack up. ARE YOU DREAMING OF A GREEN CHRISTMAS? 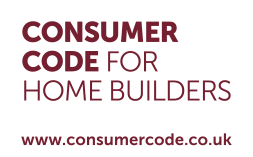 A new home with all the right connections? Take a look at Jelson Homes in Long Buckby. How to have a right royal knees up! Your last chance to buy a brand new Jelson home in Hinckley! Jelson announces last chance to buy in Coventry! Time is running out to buy at Farmlands, Markfield – don’t miss out! Dazzled by our Heartlands show home in Corby? Now you can have one, too! Jelson’s very own NHBC award-winning site manager! Don’t leave home without our safety tips! The outdoor-living season is within touching distance! Gardens are in, parents are out a new survey says! Retro show home is cool, baby! Hallam Fields has a new show home! New season, new start, new home in Birstall? New season, new start, new home in Peterborough? New season, new start, new home in Hinckley? Jelson has its apprentices all signed up! Jelson unwraps its toy appeal for second consecutive year!